The most versatile charging solution on the market: wall-mounted or on its base, single- or multi-standard, indoors or outdoors, the Keywatt® charging station is genuinely superior for charging light vehicles or electric buses. one hour, the average charging time for a light vehicle with the Keywatt® station. The calculation is simple: the drivers always keep about 20% of their battery available and charge their vehicle to around 80%, because these latter percentages are the longest to achieve. The new generation vehicles have approximately 40 kW batteries and given that the Keywatt® station charges at 24 kWh, the calculation is quick! The Keywatt® charging station incorporates a compact universal charging solution suitable for all users, regardless of vehicle. And in all situations (car dealers, public highway, car parks, companies, apartment buildings, etc.). It does not guzzle energy nor demand a cumbersome electrical installation or high energy subscription costs, making it the most cost-saving solution on the market. Its hermetic design also makes it the perfect choice for intensive outdoor uses. The Keywatt® charging station is suitable for all power guzzlers, especially for bus or lorry fleets. The Keywatt® charging station, with a rated power of 50 kW, is designed for bus depots and deals perfectly with their restrictions: it only takes up 0.75 m2 floor space and the operator can move around easily. It can be installed in any position: alone, back-to-back with another unit, side-by-side, etc. and cables can be threaded through its orientable outlet system high up, thereby freeing up the space. 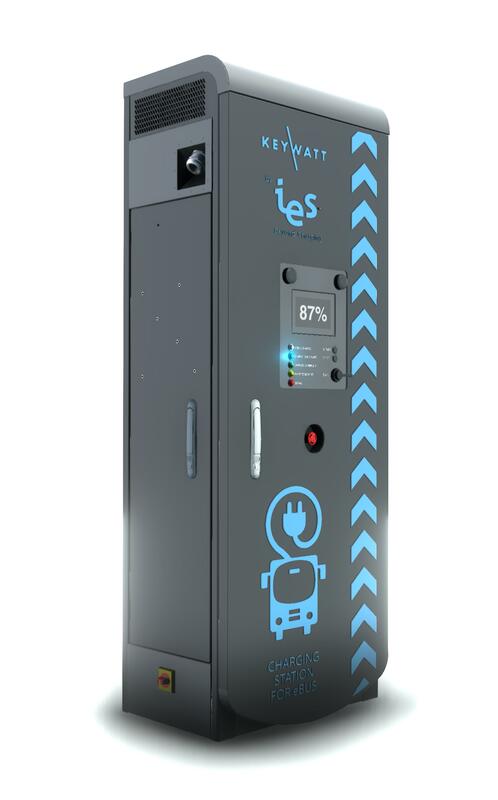 The IES charging stations can be connected in parallel to achieve up to 100 kW: the power electronics are responsible for regulating the distribution of current in total safety, with the possibility of a power variation in real time. Result? 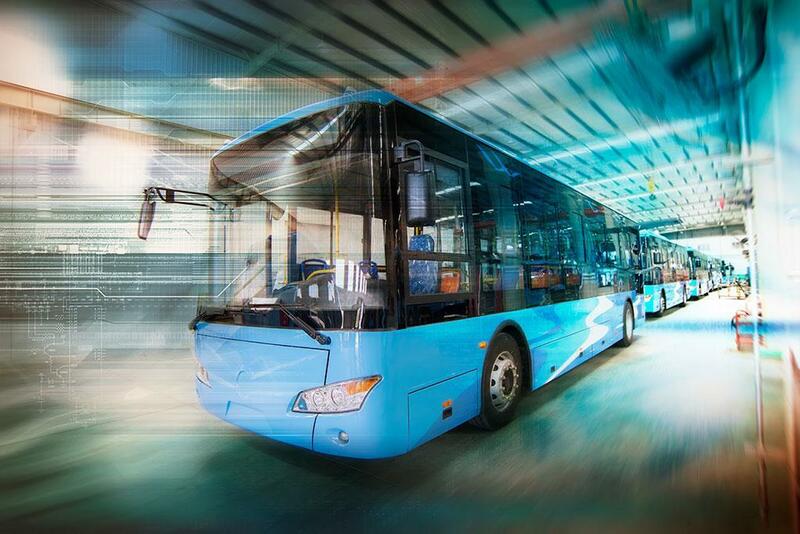 The Keywatt® charging station has already been tested and approved by many bus manufacturers, including Heuliez Bus, Iveco, Bolloré, Yutong and Byd. Dust and bad weather are part of the daily environment of a bus depot. The charger is totally sealed: its patented external and filterless ventilation system is a major advantage in terms of maintenance and durability. The Keywatt® charging station also has the advantage of incorporating a unique DC-type technology, designed by IES at the time to assist car manufacturers to develop their first electric cars. This exclusive technology has evolved continuously to give birth today to the Keywatt® charging station, the most advanced solution on the market. The Keywatt® charging station still has something up its sleeve: its on-going development opens up almost endless horizons in a near future. 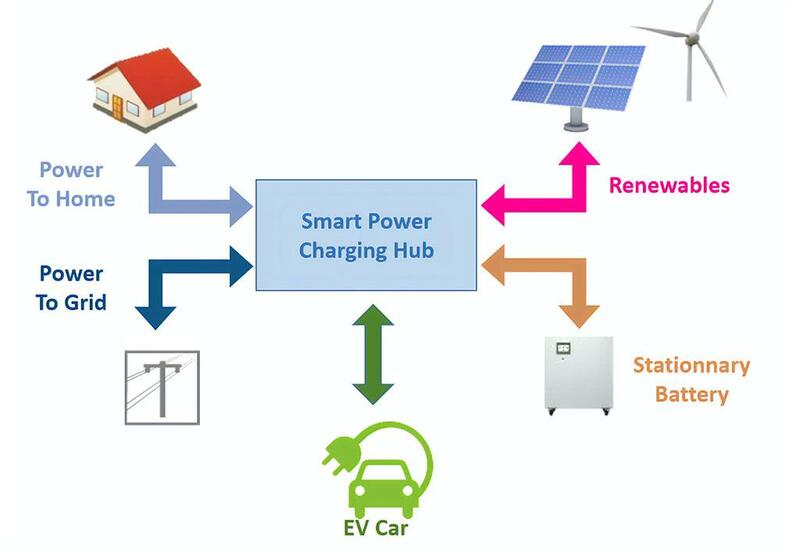 At home, it can carry out countless tasks, direct solar power to a vehicle battery, redistribute it to multiple apparatus inside the home or simply send it to the grid. It is going to become the heart of tomorrow’s houses, always totally safe thanks to its ultra-efficient control systems. Remote real time updates, supervision and adjustment of Keywatt® Superfast® parameters.